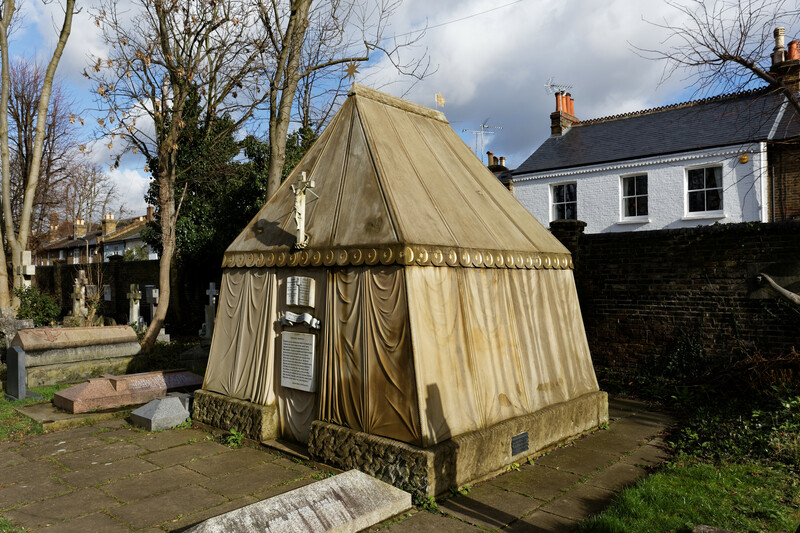 Sir Richard Francis Burton: 1821-1890. Sindh, Mecca, Harrar, Tanganyika, Camoens & the Arabian Nights. 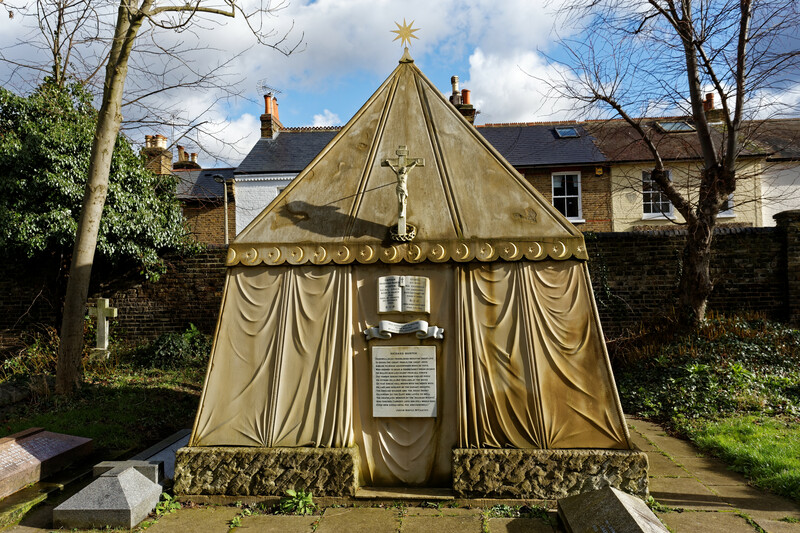 Richard and Isabel Burton are buried in Saint Mary's Churchyard, Mortlake, near Richmond outside London. 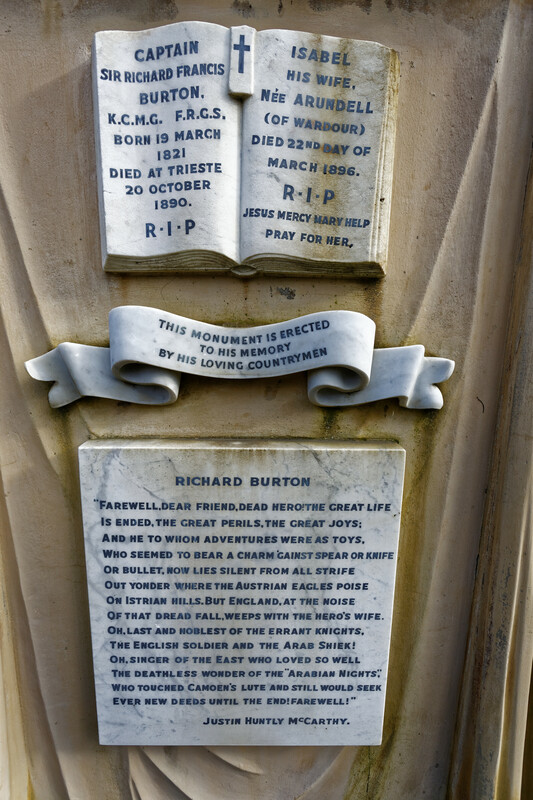 Burton had been to school in Richmond. 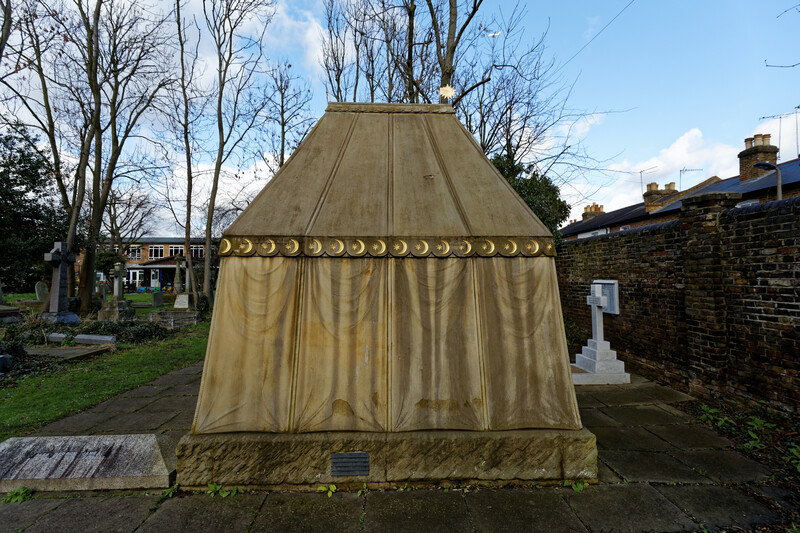 The tomb is in the shape of an Arab tent. 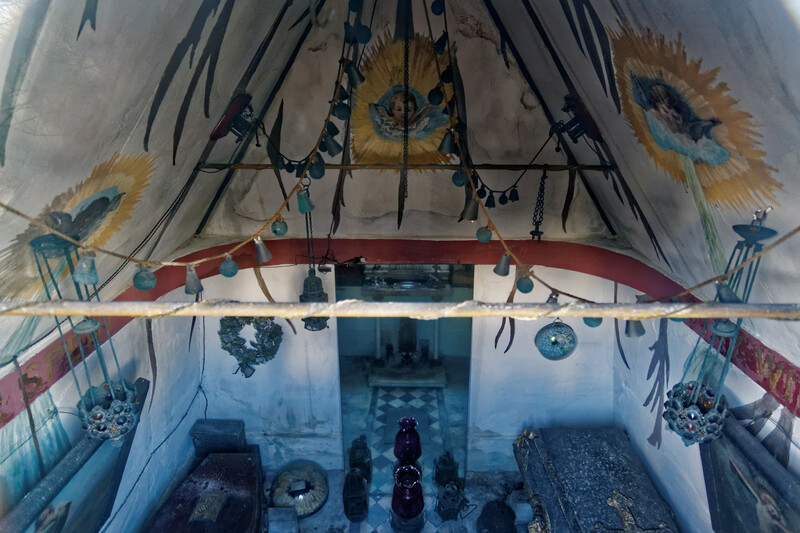 There is a window in the rear which can be used to view the inside of the tomb, which is decorated with camel bells, religious symbols and other artifacts, and appears to have had coloured electric lights at some stage. 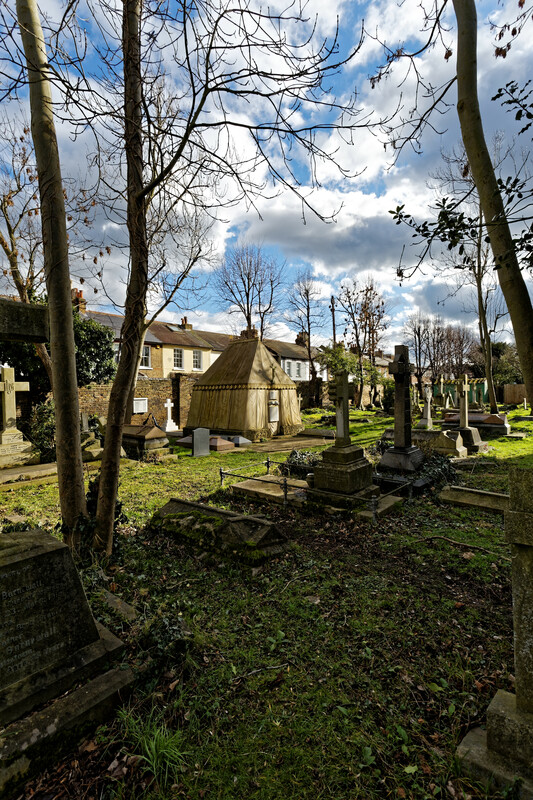 After Burton's death, Isabel held séances at the tomb with Ada Goodrich Freer ("Miss X") to contact him. 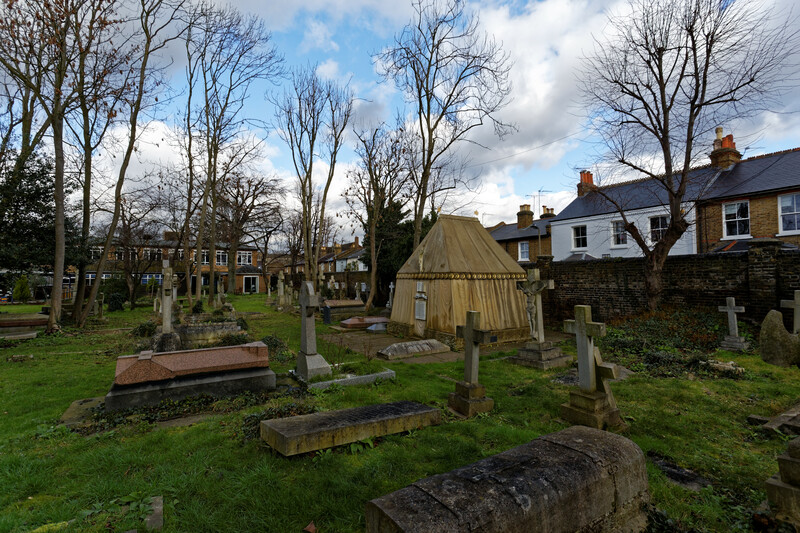 She had taken a cottage at 2 Worple Road, which she called "Our Cottage", opposite the churchyard in Mortlake. On her death she left the cottage to Gerald Arthur Arundell. 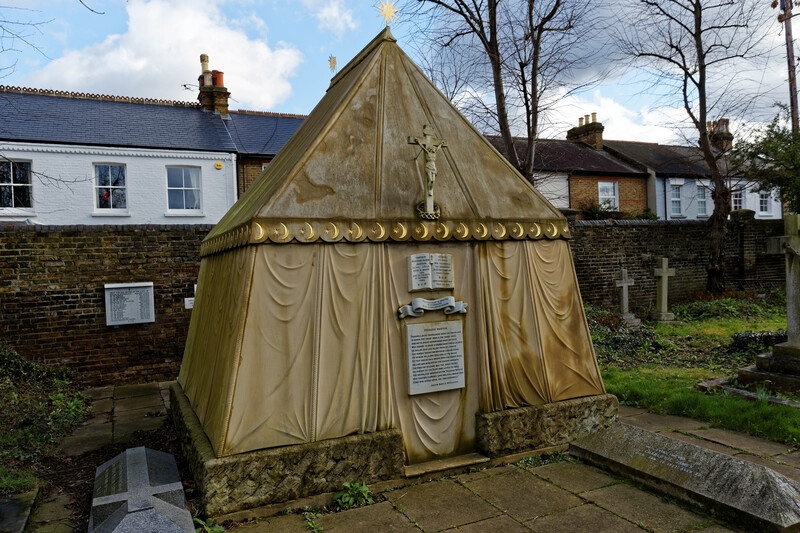 According to The Tablet (20th June 1896) Isabel's own body was embalmed "by disembowelling and stuffing(not by the new process of injecting in the veins), in order that her body may be kept above ground by the side of her husband, in the mausoleum tent at Mortlake" and one assumes the same process was used for her husband in Trieste. 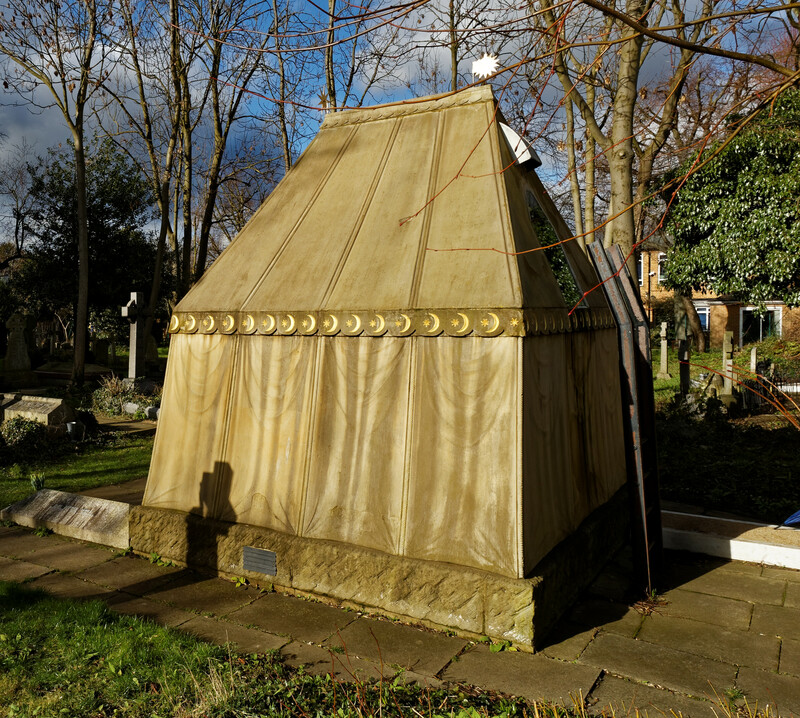 Curiously "the testatrix stated that she had bought, adjoining the tent, a vault for four bodies, and that two places were to be reserved, in order that, if a revolution should occur in England that arrived at the desecration of the dead, the coffins of herself and her husband might be lowered into the vault." As this ground is all used now, the danger must have receded. She left explicit directions to her literary trustees that "she forbids any one to print a single immodest word, and she especially charges her literary trustees not to issue or allow to be issued one coarse or indecent word in connection with her late husband's works." 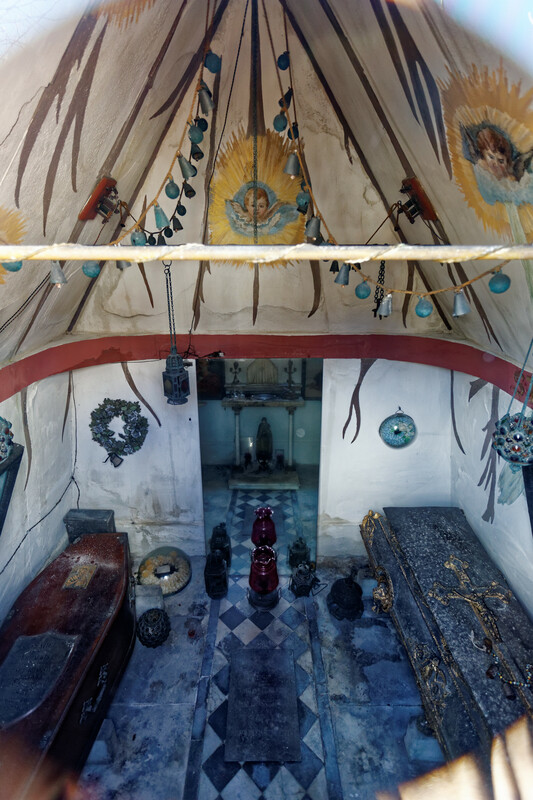 The pictures below were taken in February of 2014 and give a clear view of the interior through the rear window (note though that there is some reflection produced by the glass). 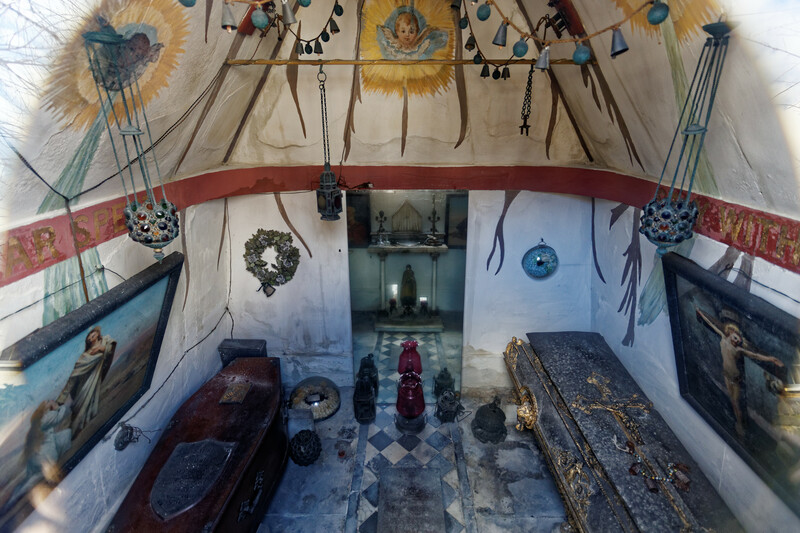 Isabel is in the coffin on the left from the rear, Burton is on the right from the rear. 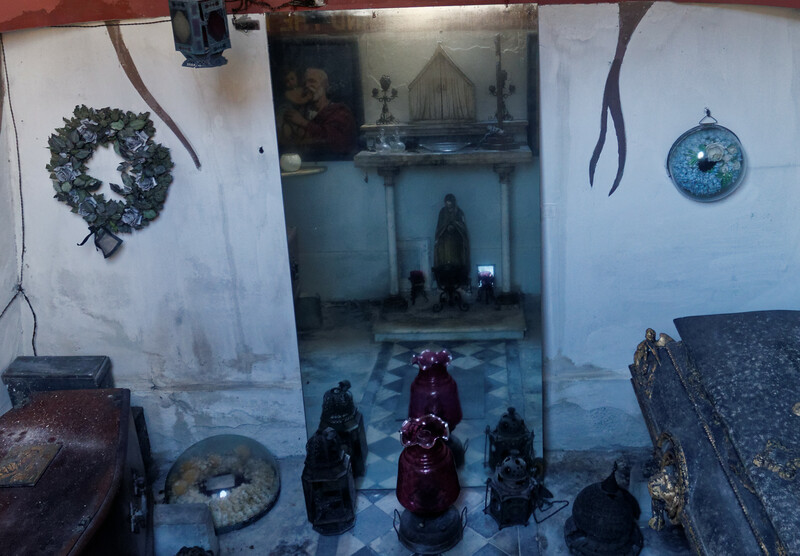 The far wall has a mirror (behind the front entrance) which from the rear windows affords a view of the little altar at the rear, under the window, which has a crucifix and other objects on it, consistent with Isabel's ideal of Burton as a catholic. The camel bells are clearly visible below, as are the electrical fittings installed at one stage.